Swimming pool installations are on everyone’s wishlist. Thus, people tend to have separate investments for this purpose. More the investment, more lavish can be your pool, thus there is no limit to design and detailing. Many people look for trends that can make their backyard landscaping step out from the main-stream designs while having a personal statement of their own. 2018 saw many such trends. With the year 2019 approaching fast, we can easily guess the next big thing(s) in the swimming pool installations industry. Top 4 Swimming Pool Installation Trends in Toronto! Lap pools are made to be used for fitness as they offer many health benefits. These pools are long and narrow, in a rectangular shape. They are great for houses with less backyard space. Cities like Toronto are famous for their compact pools. These are also known as Plunge pools and are ideal for homeowners with small backyard space. No red or itchy eyes, as chemicals are not used. This year, the infinity pools shifted from hotels and resort to backyards of many Canadian homes and the trend is expected to continue in 2019 as well. Help yourself have a resort-like swimming pool installation by installing an infinity pool in your backyard. Choosing any of these trends for a new pool installation depends completely on the space available in your backyard. Thus, you should consider a few points while picking a location for your swimming pool installation. Consider the following aspects for selecting a swimming pool area or location in your backyard. If you live in a country like Canada, this becomes the most crucial aspect. Sun exposure helps to keep your pool water warm, naturally, thus cutting a bit down on your electricity cost of running a pool heater. Swimming pool installation with a proper wind exposure lowers the humidity, thus decreasing evaporation. This is important for home-owners who have indoor pools as they generally need to work on this. Look for a pool installation that allows you to have ample space for storage for your floaties and swimming pool filters and other pieces of equipment for the off-season. This has to be considered by home-owners with children. Choosing a location that is in a close visibility from an indoor living space will let you keep an eye on the pool area without you stepping out from your home. Look for an area with better accessibility and in close proximity to your backdoor. Plan the entrance and exit towards the pool installation to have a clutter-free backyard landscape. How Much Will The Swimming Pool Installation Costs? The cost of a swimming pool installation generally depends upon the selection of the pool type and materials. Fibre Glass pools are pre-designed pools in different shapes. They can be easily placed both in-ground and above-ground. Fibre Glass pools are the most preferred as they are inexpensive, stain resistant, and highly durable. You can choose from many different colours and styles for swim jets, infinity edge, and paddling pools. For those who wish to have custom swimming pools, can select Concrete Swimming Pool installations. Concrete as a material offers flexibility to the design based on the size, depth, and shape. As concrete pools are not pre-designed, you can customize every little detail of your pool, according to your choice. Concrete swimming pool installations are more durable and long-lasting. Fibreglass pool installations are easier to install, with only a few days required towards the complete installation process. A Fibreglass pool installation will cost you somewhere in between $15000 to $25000. A concrete pool will cost almost $25,000 more than a fibreglass pool installation. But there are many additional elements that let your backyard have a comprehensive design. We, Land-con, being the best swimming pool builders in Toronto, have mentioned a few elements that can quickly elevate your swimming pool, making your backyard a compositional beauty for your eyes. How To Pick A Swimming Pool Builder for Toronto Pool Installations? Ask for referrals from your friends and family before selecting from many options for swimming pool builders. Log on to Toronto pool and view our portfolio and select a design that you feel matches your taste. 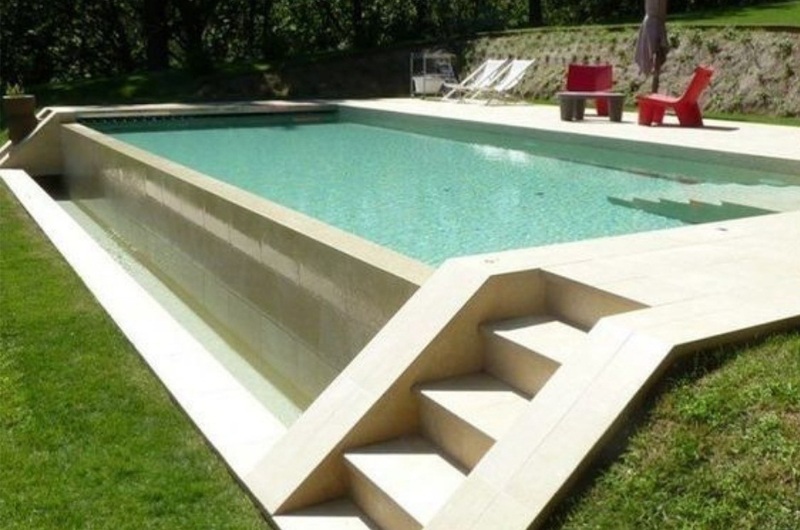 We are sure that our swimming pool constructions and designs will leave you surprised and impressed. Call us at 416.504.5263 for an expert consultation.